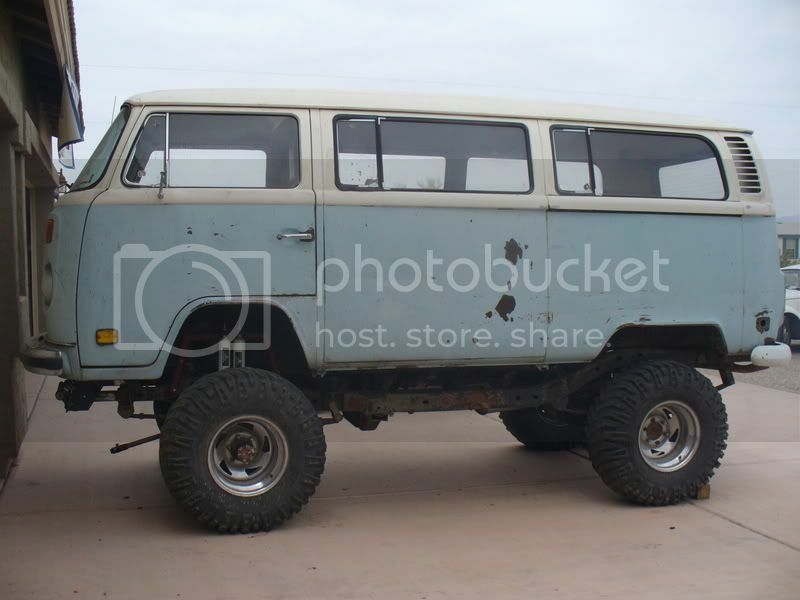 Anyone have more info on this bus? i was standing along side of it yesterday!!!!!!!!!! Yep its Scott's aka Bajawarrior. I was standing next to it too yesterday. But the guy said he was going to post pics of the interior and linkages for steering and brakes. No. It's a different one. o yea i thought that it was a different one but i was not sure. does bajawarrior still have it. or not. Yes I still have it but unfortunately I am always working on everyone else's stuff and it gets pushed aside. I am trying to finish my baja and soon start on my wife's vert then comes Monster Bus. I have a few pics of some fab work but not a whole lot. As soon as I get a chance I will post them but if you have any questions let me know.